Supporting the local community is an important part of our Longford store. We sponsor various organisations and groups including the Longford Golf Club, the National Penny-Farthing Championships and SOC Rowing Club. We also attend Agfest every year. Located next to the Country Club Hotel, our store has a huge range of irrigation supplies in stock. 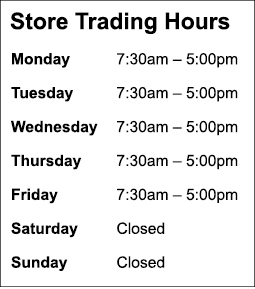 Our helpful staff are also on hand to answer any questions you might have about your next irrigation project. Whether your farm needs a new system installed or an upgrade or replacement for an existing system, we have got you covered. We are experienced in designing, supplying and installing irrigation systems across Tasmania, from hobby farmers to large scale farms. Our technicians are experienced in the installation of various irrigation products and systems including drip, micro and centre pivots and will ensure that the most efficient system is selected to irrigate your crops and pastures. During the off season, Water Dynamics Longford continue working with broadacre farmers to ensure their irrigation systems will run smoothly for the following harvest season. Our friendly technicians provide mobile on-site servicing as well as repairs and upgrades to your existing irrigation systems, providing you with peace of mind. Our Longford store is one of Water Dynamics’ leading T-L c entre pivot and linear irrigator suppliers, with enormous depth of knowledge and experience on-site. 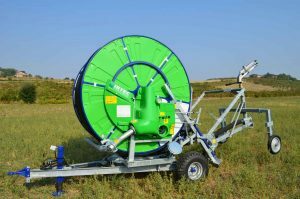 We work closely with our customers and T-L to ensure centre pivot and linear irrigator designs are tailored to each customer’s irrigation requirements. We carry a range of T-L pipes and spares on-site and this range is fully supported by our central warehouse in NSW, where over $1 million worth of T-L inventory is held. 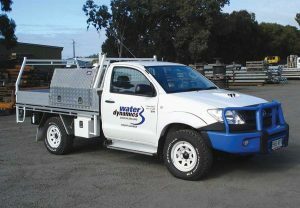 Water Dynamics Longford provides complete irrigation and pump service and repair solutions to complement our supply and installation service. We service and repair all types of irrigation systems, including preventative maintenance and breakdown on T-L centre pivot and linear irrigators. Our technicians are able to meet a large range of emergency service requirements. Our fleet of service vehicles help to minimise downtime by bringing skilled mobile service technicians to your site promptly, with the necessary equipment to help you get your irrigation systems back up and running in no time. Our onsite services are supported by a fully equipped workshop located at our store in Longford.